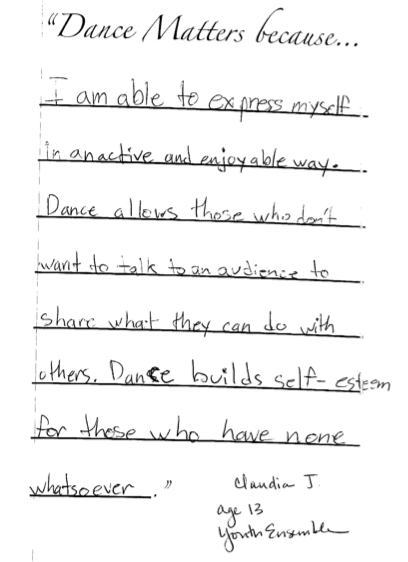 Why Dance Matters 2012 kicks off today! 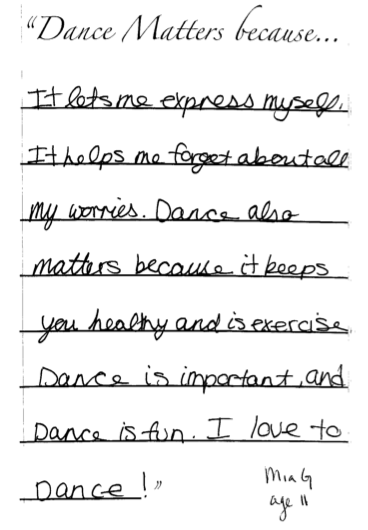 Last year (thanks to Lauren Warnecke of Art Intercepts) some children at the Menomonee Club in Chicago shared why dance matters to them. Below is a slideshow of their responses. Feel free to grab the pdf version. If you’d like to have students at your school or your children prepare something similar, we welcome your submissions. 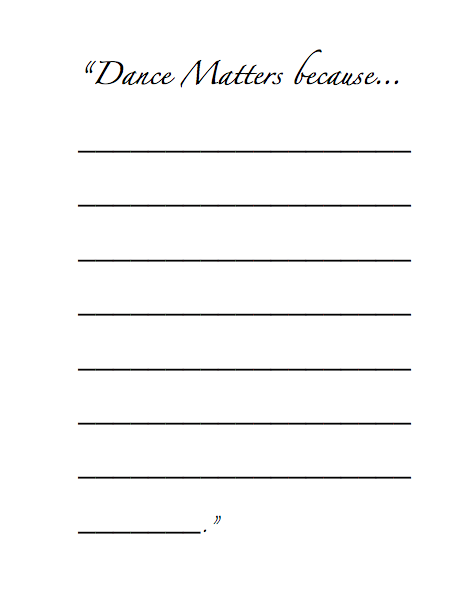 Click on the image below to download the Dance Matters Because worksheet. 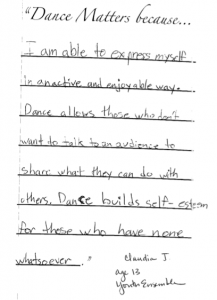 In addition to putting their affirmations into words, drawings are encouraged, as are videos, slideshows, presentations, dances and other creations! 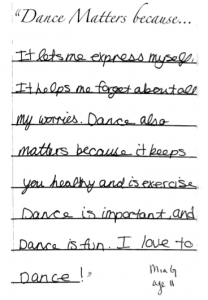 Simply contact Nichelle at DanceAdvantage.net (WDM’s initiator) to send links or files that tell us Why Dance Matters to kids!